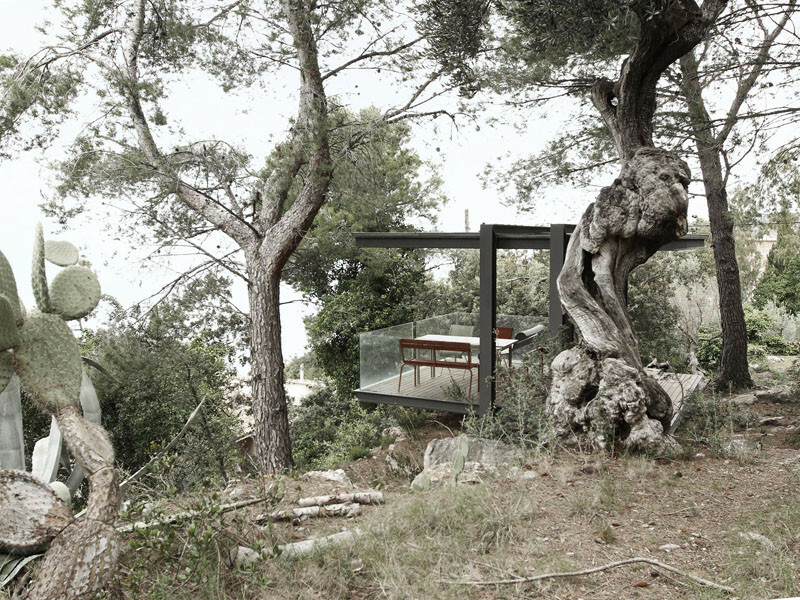 Architect Philipp Bretschneider of H5 Architekten, has designed a pavilion that overlooks the ocean off the island of Mallorca, Spain. 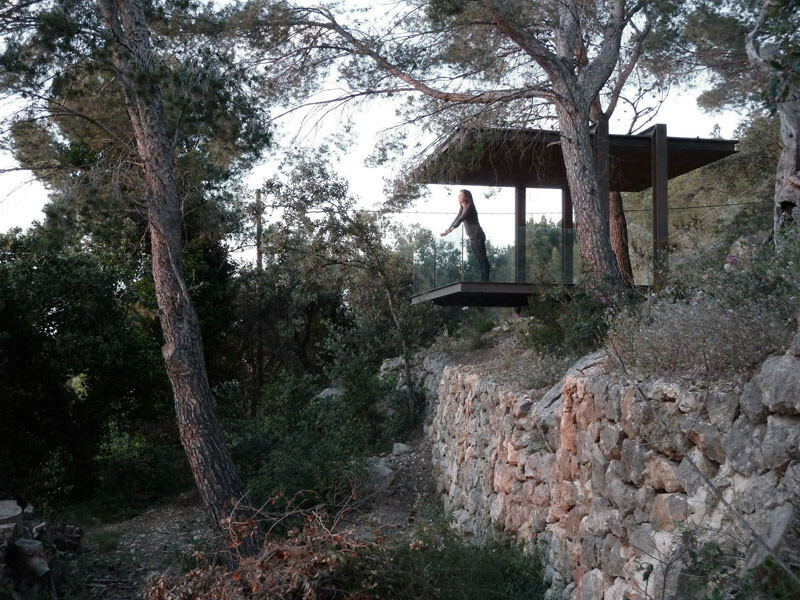 The clients wanted to add a small retreat to their holiday home that would be a place to relax and enjoy the surrounding nature and the beautiful view. 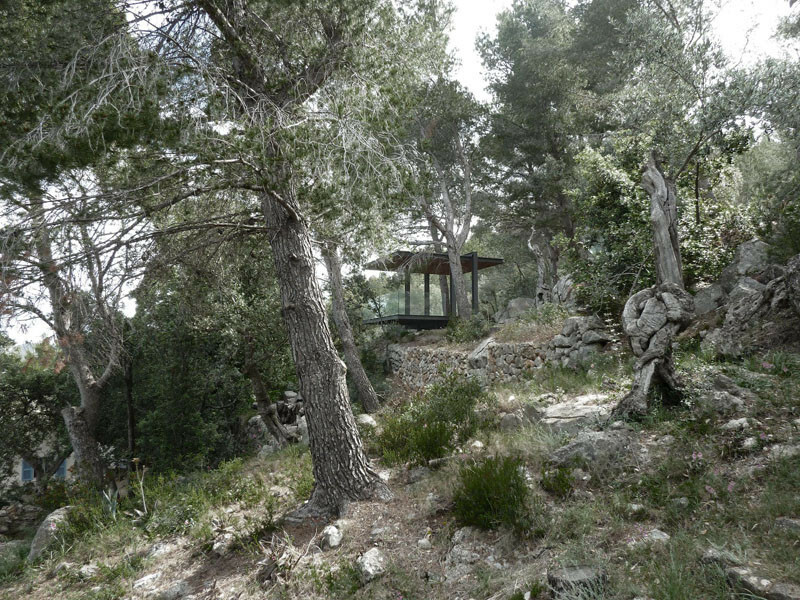 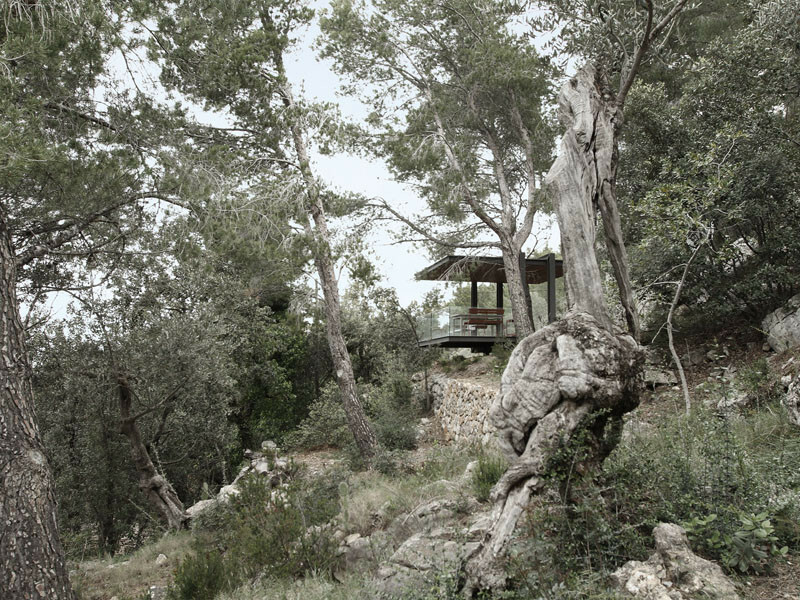 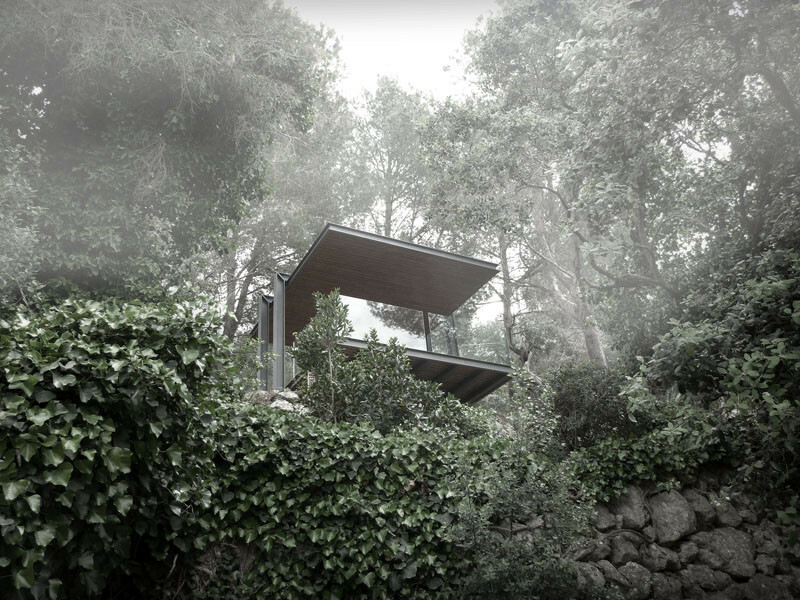 The pavilion is set into the hillside of a rocky landscape, surrounded by olive trees, pine trees and wild flowers. 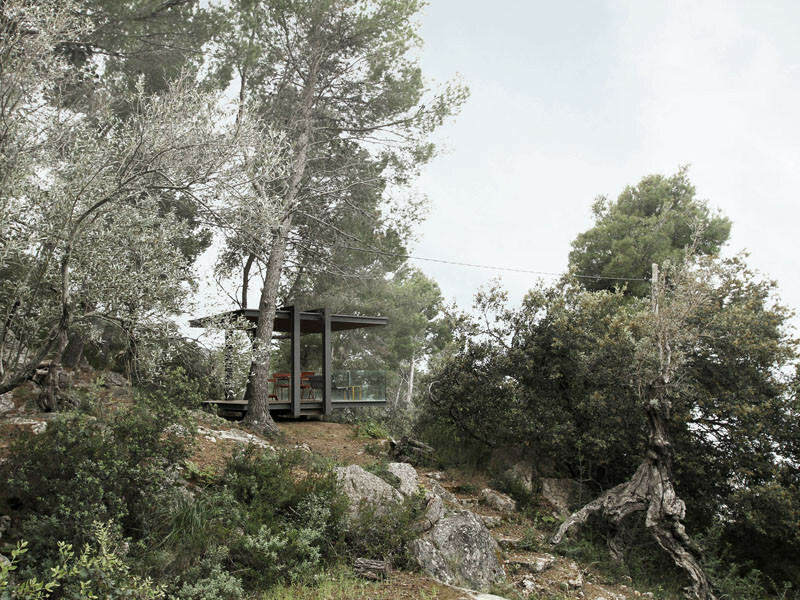 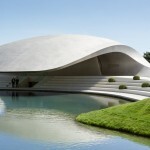 It sits on four concrete foundation points, with the main material being steel. 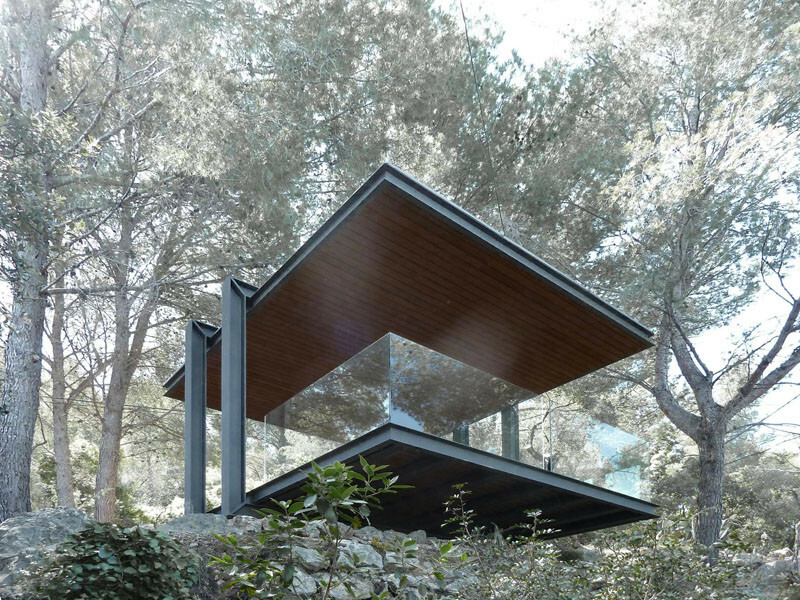 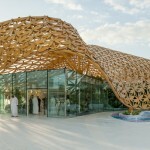 The pavilion consists of 2 steel frames for the sides, that are holding the ceiling and floor plates. 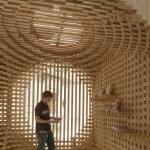 The ceiling and floor are both finished with wooden planks. 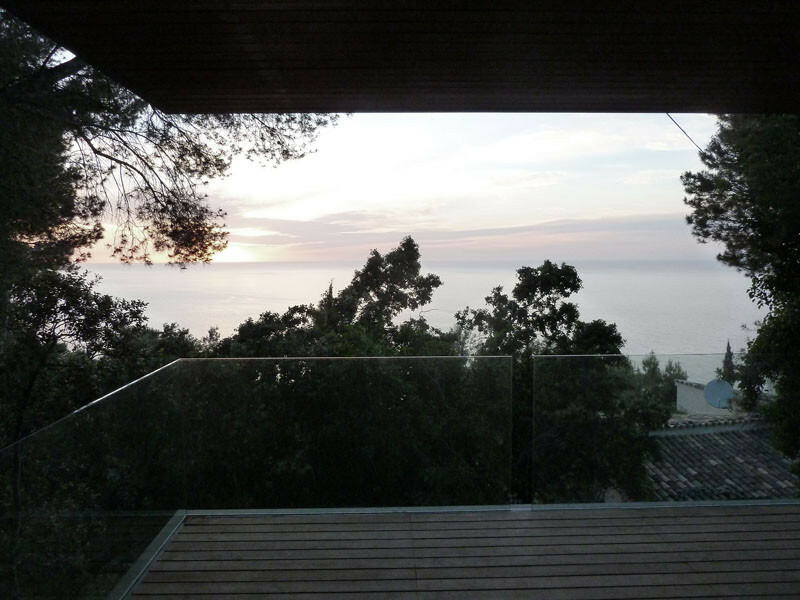 A glass railing has been installed as a safety feature. 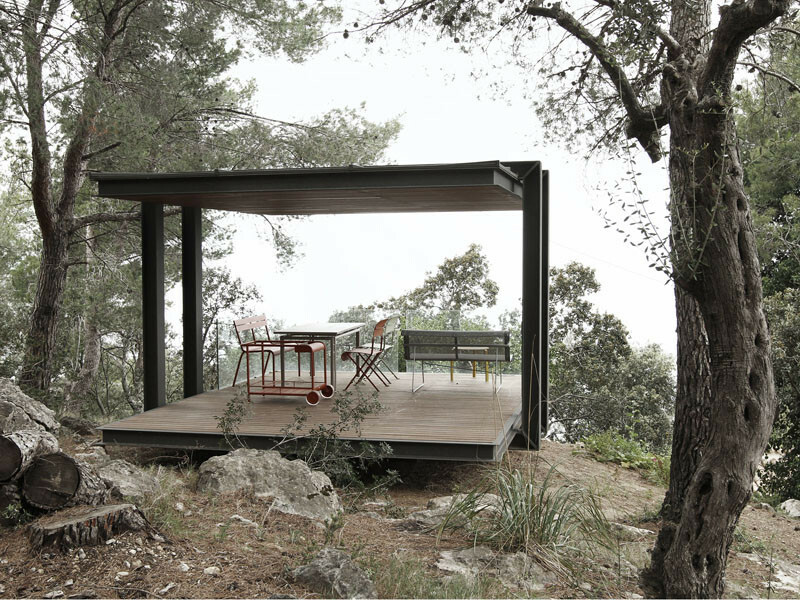 The platform is large enough for a group of people to enjoy. 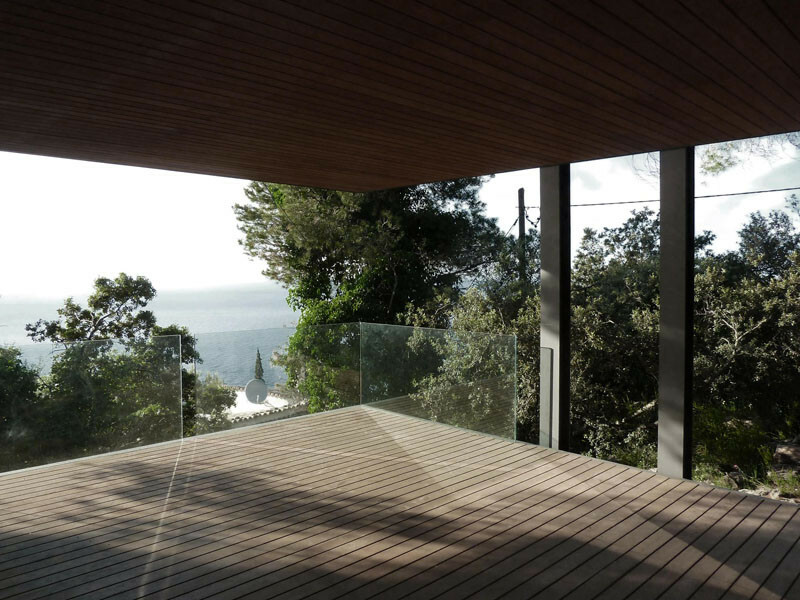 Here is a glimpse of the views it provides.